Versatile, tough and durable, Lynden Dunn was one of Melbourne’s shining lights throughout one of its darkest decades. He spent time in all parts of the ground across 165 games, playing 11 or more senior games for 10 years straight before dipping out of favour in 2016. A one-time vice-captain in the Red and Blue, Dunn made his way to Collingwood during the October trade period. He began his first season as a Magpie in the VFL, but played the last 17 games of the year at senior level. 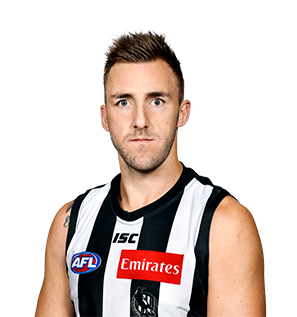 Dunn's leadership, foot skills, courage and ability to read the play made him one of the first players chosen in the second half of the season, and his impact on the club more broadly was recognised with a place on the Magpies' AFL Women's coaching panel for 2018. Definitively proved himself one of the bargain buys of the 2016 trade period. Recruited via Melbourne in exchange for selection No. 47, Dunn began the season in the VFL, but was swiftly moved into the senior side to help tackle Tom Hawkins in round six. Dunn, at the age of 30, played the final 17 senior games of the season. He took control of Collingwood’s kick ins, and averaged 13.5 disposals and 5.1 marks, all the while taking on the opposition’s biggest forwards. His leadership was first class, and the respect in which he was held by his teammates was evident throughout the year. He further underlined his standing in the broader Collingwood culture when he was named an assistant coach of the club’s AFL Women’s team for 2018. After several years in charge of the Melbourne backline, Dunn lost his footing in Paul Roos' first choice line up. He managed 14 games with Casey in the VFL, averaging 19.4 disposals and 5.7 marks per game. He was one of the Scorpions’ best in their loss to Footscray in the Grand Final, and found himself in Collingwood’s colours less than a month later when a deal was finalised during the October trade period. Often forced to play on taller opponents, Dunn continued to show why he is one of Melbourne’s best one-on-one defenders. He has played 61 matches in succession, including every game in the past two season, and is one of the most reliable members of Paul Roos’ side. Average 16.5 disposals a game last season and developed good chemistry with the emerging Tom McDonald down back. Another consistent season where he finished tenth in the best and fairest. Has his best season, finishing fourth in the best and fairest and playing well at both ends of the ground. His best football came in defence, but he retained enough versatility to push forward and fill the hole inside Melbourne’s forward 50. Played every game and was par tof the leadership group for the first time. He is strong one-on-one and his decision-making has improved. With 139 games behind him, the 27-year-old has developed into a reliable AFL player who often punches above his weight. Signed a three-year deal rather than explore his options as a free agent. Good pre-season form in defence but a poor opening round performance and then a hamstring injury saw him miss three games. He was then taken out of defence and mixed and matched again. To his credit, he fought back in the second half of 2013 and eventually finished sixth in the best and fairest. He shut down Chris Judd and Lindsay Thomas, but he looks best suited as a tall defender and appears to be entering the most consistent phase of his career. Is in the final year of his contract. Looked at the crossroads mid-season but returned after the bye as a defender and rebooted his career. He was strong, dependable and disciplined, marking well and making better decisions with the ball. As his confidence grew, he became a leader within the backline and showed his ability to win contests, eventually finishing tenth in the best and fairest. 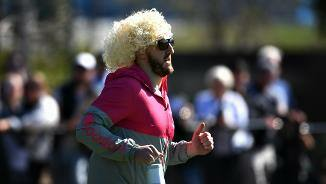 Dunn must consolidate that form and became a reliable fixture in Melbourne’s defensive mix. Tough player to get a handle on as he has never put together a consistent season, although he continues to perform well whenever given the chance at senior level. Last season was no different as he fulfilled many roles, without quite establishing himself within the Demons’ forward structure. He provided glimpses of his talent as a defensive forward, a run-with player and an extra midfielder. A competitor, he is a long kick who can kick goals. Was a revelation in the second half of 2010, playing as a lead-up forward and influencing several games. In what might be a career-defining season, Dunn played 18 games – his best effort in five seasons on Melbourne’s list – and booted 26 goals, including 16 in the last six games. A five-goal haul against Richmond in round 19 saw him earn his first Brownlow vote and, in a vote of confidence, the Demons have signed him for another three years. Will be looking for a big season in 2010 after spending last year in and out of the senior side. Played 13 games and had a six-week stint in the VFL in the middle of the season. His numbers (210 disposals at 16 a game) were better than any of his previous three seasons but the tall run-with player needs to establish himself as a permanent member of the team. The young utility has shown gradual improvement in his three seasons and should be ready to become a consistent senior player. Played 16 games in 2008, averaging 13 disposals, four marks and four tackles. Was given the job of tagging quality players the calibre of Brent Harvey, Adam Goodes and Nathan Foley at various stages through the season and performed admirably. After impressing in his debut season in 2006, the young Demon had a delayed start in 2007 when he fractured his cheekbone in a VFL pre-season practice match with Sandringham. On his return to the senior team in round four, Dunn kicked three goals and was among the Demons best against Fremantle. His form tapered in the middle part of the season but he finished the year strongly and had a career-high 22 disposals against Carlton in round 22. The young forward was given his first taste of senior football last year, kicking two goals on debut against Geelong in round six. Played 11 games in total and, while he alternated between AFL and VFL level, he did enough to suggest he has a bright future. Presents well and is good at ground level. Played in the VFL premiership side with Sandringham and is a promising prospect. Another high draft choice from 2004 who was given the time to develop in the VFL in his first year of senior football. Played in one pre-season game but from there on appeared with Sandringham. A clever forward who should be pushing for senior selection in 2006. Young forward who presented well at the 2004 National Bank’s Draft Camp and has the build and attitude to succeed at the AFL level. A real competitor, Dunn is sharp around goals and stood out across half back across half-forward in the Calder Cannons 2004 premiership side. His level 14.6 endurance result was impressive at the draft camp. Originally from Moonee Valley. 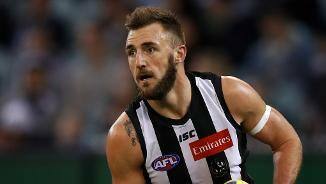 Traded to Collingwood along with selection No. 51 in exchange for selection No. 47 in the 2016 National Draft.